In 1994, South African President F.W. deKlerk declared apartheid illegal and called the first election since 1949 where black people could vote. Nelson Mandela was elected President at the head of the African National Congress. Mabandla is a rising star for South Africa, playing a stunning fusion of traditional vocal style and American folk protest music. His recent visit to Canada felt like a breath of freedom, here where the hated Indian Act that was used as a model for South African apartheid is still in force. 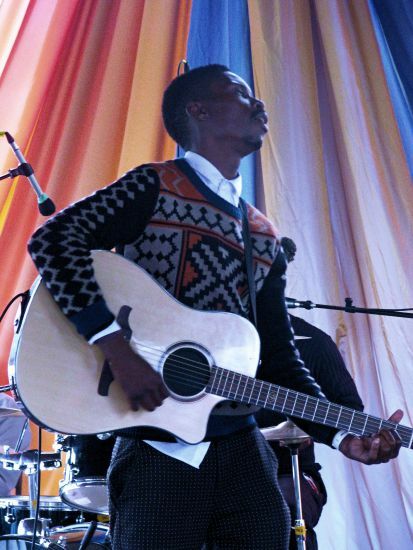 Mabandla’s music is “moving past it” in chords and melodies of tangible emancipation. But what were the most important drivers of change in South Africa, moving black people out of half a century of social, civil and political segregation? What can we learn, here where Indigenous culture is broadcast on separate TV channels, recognized in separate media awards ceremonies; where Indigenous poverty and reserve lands are comparable to the black townships of 1980’s South Africa? Do South Africans see a connection between what they have accomplished and a possible future for other places in the world, places that are paralyzed by double standards where Indigenous Peoples are targeted by police, kept in poverty, denied their lands? “I actually got to come to Canada because of a tour I did in Australia. I met some Indigenous people from Canada. I did know about the big, well-kept secrets of Canada and Australia. You know, some people look at South Africa and think the worst things happened there – but the ways and methods they killed people were sometimes, in other places, even more violent, where they would mass poison people. 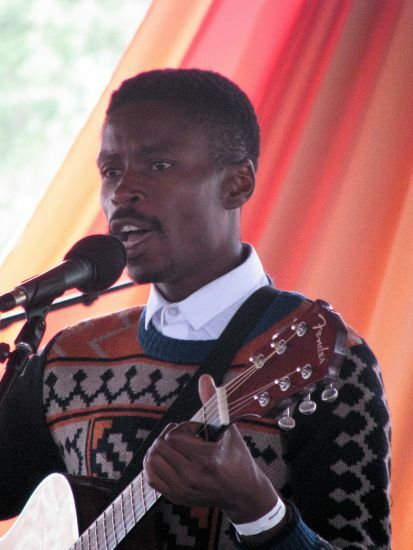 Bongeziwe Mabandla played at the 28th annual Mission Folk Music Festival, July 24-26. Check out his music! The Mission Folk Music Festival 2015 featured 4th generation Galician singers Ialma; the Carpathian string quintet Volosi; Irish, Scottish and Canadian violin and pipes players; Black Umfolosi of Zimbabwe; Mongolian minstrels Haya; and many more regional superstars from around the world. As well as showcasing musicians on the main stage, this annual music festival brings together artists from across the globe into performance workshops where strings meet throat singers and a cappella singing groups come together – singing in different languages. Check out the Festival next summer for the songs of protest, peace and freedom from peoples around the world.